As early as August, Halloween candy begins to sneak into the stores. 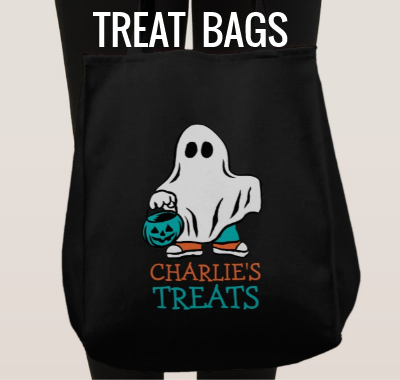 If you are dealing with a food allergy it is not always easy to grab the first witch or vampire themed treat to fill your child’s treat bags. We have found a few allergy-friendly companies that cater to some restricted diets. 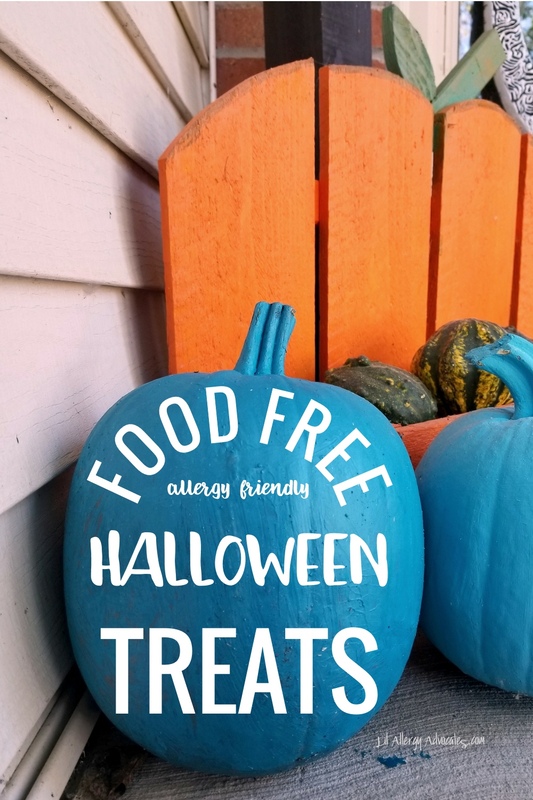 Check out the links below for some Halloween themed allergy friendly treats to find some dairy free, egg free, peanut free, tree nut free, gluten free, soy free and dye free delights! Some of these items can be found in stores while others need to be ordered online. Always read labels and allergen warnings to figure out what is safe and what you should avoid. 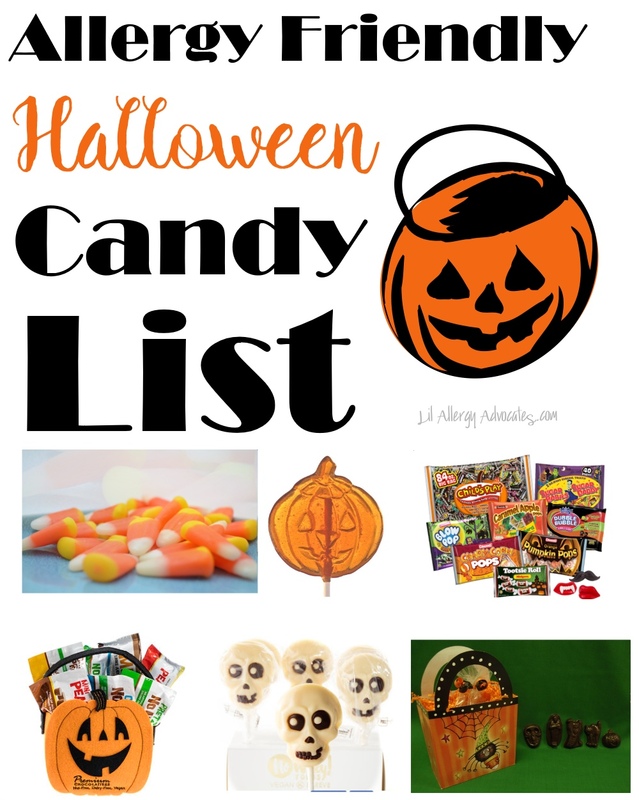 Contact us to let us know of any other allergy-friendly Halloween candy that we can add to this list! 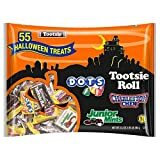 PLEASE NOTE: This list was compiled as a starting point for some allergen friendly Halloween candy. Information was obtained by manufacturer’s website allergen info, see links for each listed. Please, as always, double check ingredients before eating! Lil Allergy Advocates can not guarantee any of the information below is still accurate. We have not personally tried each item on the list yet, but many are staples in our family. A & J Bakery – A dedicated nut and gluten-free facility. Some items are free of the top 8 allergens. Their candy corn is made in a dedicated Nut & Gluten-free factory. Amanda’s Own – Autumn and Halloween themed chocolates and candy free of dairy, tree nuts, peanuts, eggs, and gluten. Coastal Bay Candy Corn – Peanut free, tree nut free, gluten-free candy corn. Corso’s Cookies – Halloween and fall themed cookie bouquets are nut free but they do use eggs, milk, soy, and wheat. Gimbals Fine Candy has jelly beans jelly beans in a variety of flavors and shapes that are free from dairy, eggs, peanuts, tree nuts, shellfish, fish, gluten, and soy. Natural Candy Store – Online store for candy, searchable by special diets including Top 8 free, organic, vegan, and nut free. Many different types sold through their website. 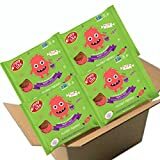 No Whey Chocolate – Vegan chocolates free of dairy, eggs, gluten peanuts and tree nuts. Lots of fun skeleton, pumpkin and fall goodies. Rockets – Lollipops, Candy Money, Fizzy Hearts, Candy Necklaces and Candy Rings and Breath Savers are available at this company. All products are free from of the following: milk, egg, fish, crustacean shellfish, tree nuts, wheat, soy, mustard or peanuts. They are also vegan and gluten-free. Smarties – Candy necklaces and all varieties smarties candies are free of milk, egg, fish, crustacean shellfish, tree nuts, peanuts, wheat, and soy. They are also vegan and gluten-free. 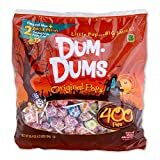 Spangler Candy – Dums Dums, Candy Canes, Saf-T-Pops and Marshmallow Peanuts do not contain many of the food allergens, including peanuts, tree nuts, milk, eggs, fish, shellfish, or wheat gluten. They are all manufactured on dedicated equipment. Surf Sweets – Jelly beans and gummy candies free from dairy/casein, eggs, peanuts, tree nuts, wheat, soy, fish, shellfish, sesame, and sulfites. They are also made with natural colors and flavors. Tootsie – All Tootsie Roll Industry products are Peanut free and Gluten free. Many are also egg free. Check labels for specific candy. Vermont Nut Free Chocolates – Peanut and tree nut free chocolates, some are egg free as well. Yummy Earth – Gummies, jellybeans, and lollipops made in their facilities are free of peanuts, tree nuts, gluten, dairy, wheat, soy, sesame, shellfish, and eggs. They are also dye free. Enjoy life Plentils – These crunchy chips are made of potato and lentils free from wheat, dairy, peanuts, tree nuts, egg, soy, fish and shellfish plus sulfites, crustaceans, sesame and mustard. Divvies Popcorn and Caramel Corn – It’s vegan as well as peanut, tree nut, egg, gluten and dairy free. Skinny Pop Popcorn – Their products are made in an allergen-free production facility and are completely nut, egg, and dairy free. They even added a chocolate popcorn flavor! Way Better Tortilla Chips – Many flavors of tortilla chips that are gluten-free, peanut and tree nut free, and most are dairy free. Enjoy life Bars and Trail Mix – Many different flavors of chewy bars plus trail mix free from wheat, dairy, peanuts, tree nuts, egg, soy, fish, and shellfish plus sulfites, crustaceans, sesame and mustard. Made Good Granola Bars – Granola Bars are made in a dedicated facility free from the 8 common allergens: peanut, tree nuts, wheat, dairy, egg, soy, sesame, fish, and shellfish. They are also organic, gluten-free. No Nuttin Bars – Granola bars manufactured in a dedicated facility free of ALL of the top 11 food allergens and gluten. 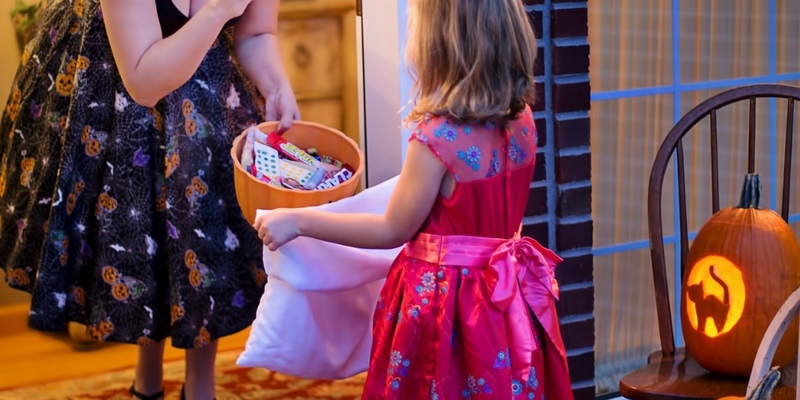 Worried about well-meaning others at Halloween parties giving your kids unsafe food? 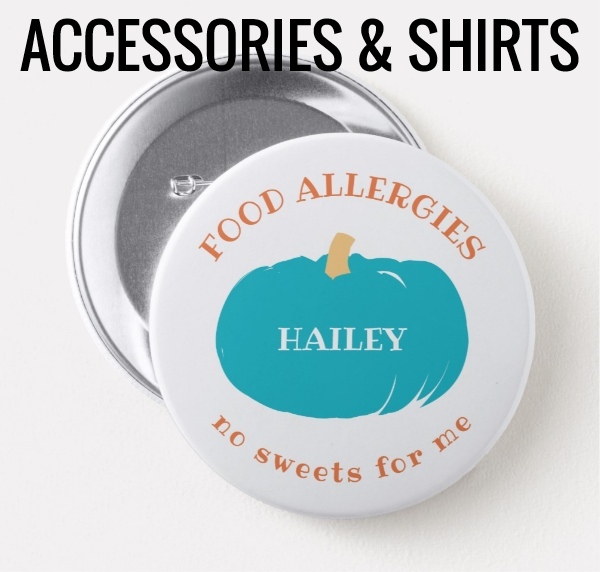 Check out our collection of allergy alert items ranging from, stickers, shirts, and totes!